Ian first started training in martial arts some 40 years ago when he was 11 years old. A former Judoka before moving to Aikido, Ian prefers his Aikido to be dynamic, fun and with an emphasis on martial integrity and relaxed centred power. Ian has a particular interest in exploring Aikido as a martially valid internal martial art. His classes place a high emphasis on the fundamental principles that underpin Aikido practice, as well as ukemi (the art of receiving a technique). Matt started his Aikido studies at the (former) Mizu Dojo in Fortitude Valley, Brisbane. He subsequently continued his training in Aikido Yuishinkai at Griffith Aikido Institute before joining our dojo as one of its founding members. Matt’s Aikido is distinguished by his focus on the technical details of Aikido practice and exploration of Aiki-jo (long staff) . Matt has a particular interest in practising Aikido as a free flowing form of self-defence. Jeremy commenced his studies in Aikido at the (former) Aikido Republic Dojo under the mentorship of Dan James Sensei. Jeremy is a founding member of the dojo and is particularly interested in the battlefield applications of Aikido practice. Jeremy’s classes place a particular emphasis on exploring the Daito Ryu roots of Aikido and its link to traditional sword applications. Neil commenced his studies in Aikido at the (former) Mizu Dojo at Fortitude Valley under the guidance of Aran Bright Sensei. He later studied at the (former) Aikido Republic Dojo under Dan James Sensei before joining our dojo as a founding member. Neil can often be found helping out new starters at the dojo and is particularly skilled at assisting beginners with their falling skills. 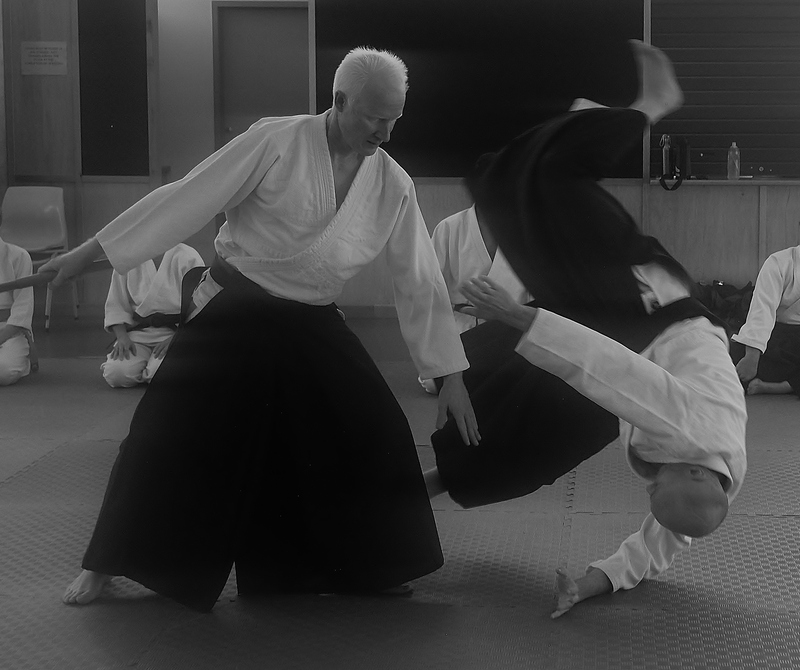 In his own Aikido practice, Neil has a penchant for exploring techniques which emphasise hip throw applications and associated ukemi. In addition to his Aikido practice, Neil is a keen musician and soccer fan. Peter studied Aikido at the Griffith Aikido Institute prior to joining our dojo as a founding member. Peter has strong views that Aikido should offer students a complete system of self-defence and be trained as a martially valid form of budo. To this end, Peter’s classes emphasise the importance of atemi (striking) and balance taking. Peter also has a particular interest in the study of kokyu ho and its role in developing martially powerful applications.